The Canadian dollar slid to its lowest level since last June with a host of factors weighing it down. 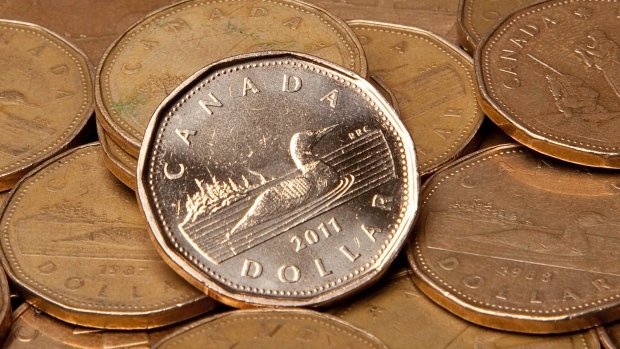 The loonie was trading at 75.17 US cents as of 12:42 p.m. ET Wednesday, its lowest level since June 22, 2017. Escalating trade fears, softening oil prices, and waning certainty that the Bank of Canada will raise interest rates at its July 11 meeting are putting pressure on the currency. Trade tensions are taking a toll on the Canadian dollar with uncertainty around the North American Free Trade Agreement still looming large and global trade tensions escalating between the U.S. and China. “There’s a myriad of factors at play right here – NAFTA is certainly one of them,” Hurst added. “And we have to keep an eye on that going forward just to make sure that that doesn’t catch us off guard,” he said. Meanwhile, Hurst said the Bank of Canada is also weighing the economic risks stemming from trade uncertainty.